In the market for a new hatchback? 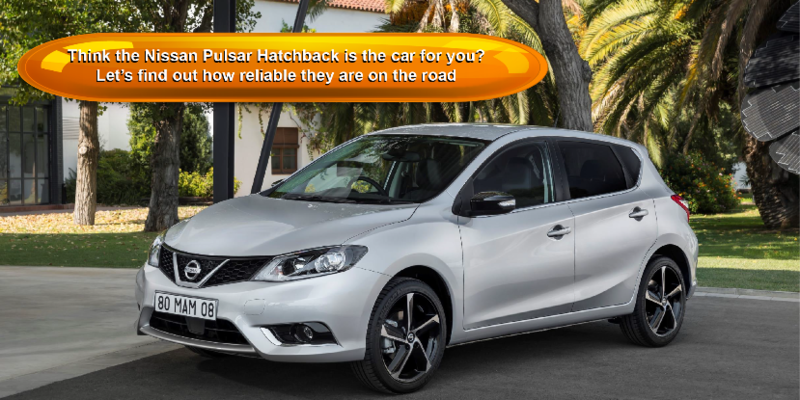 The Nissan Pulsar hatchback could be a wise choice but how does it do up against SEAT and Subaru? The new Nissan Pulsar Hatchback is roomy and refined – but might be a tad too serious for some. There is definitely a fun factor missing here from a car that doesn’t set the pulses racing. However, it’s versatile and sensible character is sure to attract fans who need an affordable and spacious family car that’s well-equipped, quiet and well-built. Moreover, it can offer more interior space than all its rivals. OSV takes a closer look at what it’s all about with our 2017 Nissan Pulsar Hatchback review. Quiet and comfortable are two ways to describe the Pulsar. The steering is direct and there is plenty of grip on offer. However, a lack of feedback and excess body lean means it isn’t all that involving or fun. It won’t really put a smile on your face if you need to be entertained on the road. But if you’re just looking to get from A to B without any hassle, there is no reason you won’t be happy. There isn’t much to choose from in terms of the engines – truth is, you’re limited. There is just one diesel engine available, a 1.5-litre unit that’s ideal for high mileage drivers. It has more power than the petrol, doesn’t cost as much to run, and offers more response out on the motorway. It has a 0-62 time of 11.5 seconds. Accelerate hard and it will grunt and moan, but at cruising speeds it’s nicely relaxed and refined. However, some buyers might be unimpressed by the lack of an automatic option. If you’re not planning on making too many lengthy trips, the sole petrol engine will be just fine. This is a 1.6-litre DIG-T engine that comes in two power guises. The smaller of the two develops 115bhp, and does 0-62 in 10.7 seconds. The bigger variant produces 188bhp, and does 0-62 in 7.7 seconds before maxing out at 135mph. Power delivery is smooth, although we caution against revving it too hard. Do so, and not only does its power drop off, the economy also drops. Whichever engine you choose, you’ll find them well-mannered for the most part. None are super sprightly, though. Combined with the weak handling, they dent any hope that the car could even be mildly entertaining. The Pulsar might not be entertaining, but it makes up for a lack of fun by being supremely comfortable inside. Ride quality is superb, as is refinement. Its soft suspension does a great job at soaking up poorer surfaces, while there is only a fair trace of exterior noise that finds its way into the cabin. For the quietest experience possible, you’d have to go for the petrol engine. The dash is user-friendly and sports a few useful features. The climate control buttons and infotainment displays are taken from the popular Nissan Qashqai, and overall it’s a logically arranged, functional environment. That said, it isn’t visually impressive or exciting, nor is it all that pleasing to the touch. Go for the range-topping model, though, and you’ll benefit from leather seats and glossy plastics. The entry-level model, on the other hand, has to make do with cheaper plastics. The Pulsar’s boxy shape might not be to everyone’s taste, but at least it creates a large amount of interior space inside. It boasts a longer wheelbase than all its rivals, and getting comfortable is easy for all. It’s especially easy for the driver, thanks to an adjustable seat and steering wheel. Having the longest wheelbase in the class means that the Nissan Pulsar is able to offer more rear seat space than its competitors, too. Three adults can comfortably sit together back there, with everyone getting 629mm of total knee room. Remarkably, the boot is also big. Measuring an impressive 395-litres, it’s one of the biggest boots in this sector. It’s both deep and wide, but a lip will make loading heavier items tricky. Other storage spaces include reasonably-sized door bins and a huge glove box. Standard kit is good. The entry-level model gets a 5” colour display, electric windows and mirrors, Bluetooth, air conditioning and cruise control. The Acenta model adds LED running lights, dual-zone climate control and front fog lamps. The range-topping Tekna model adds a few luxuries, such as heated leather seats, Around View Monitor and electric folding mirrors. The Tekna trim is also the safest in the range, and gets the likes of blind-spot monitoring, a 360-degree camera, and lane-departure warning as standard. All models are safe, with the Pulsar Hatchback bagging all five stars when it was crash-tested by Euro NCAP. However, the entry-level model misses out on autonomous emergency braking. Prices for the new car start out from £13,275 and rise to £21,000. If you prefer to lease, you can pick up a deal from £195 + VAT per month. For more information on our leasing deals, check out our page here. In terms of its running costs, the Pulsar isn’t the most efficient in its class. However, its cheapest 1.5-litre dCi diesel engine can return over 78mpg, and emits less than 100g/km of CO2. That said, these are Nissan’s official numbers. In the real world, you’ll be averaging around 55mpg. The 1.2-litre DIG-T petrol engine is expected to be the best seller. It benefits from turbochargers to return 56.6mpg, and emits 117g/km of CO2. The 1.6-litre DIG-T petrol, meanwhile, is good for as much as 49.5mpg economy if you pick the smaller wheels. The Nissan Pulsar sits in insurance groups 10 to 18. It’s not always so easy to find a Hatchback with a quiet cabin. Here is one. As well as being quiet, the cabin is also comfortable. 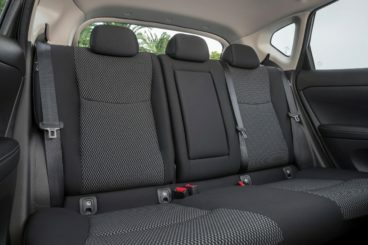 It’s a hat-trick of successes for the Pulsar’s interior, with cabin space being another huge plus for families. It’s sensible and predictable – but utterly boring. You’ll need to work them hard, and none except the expensive 188bhp petrol are even remotely entertaining. Let’s see how the car measures up against its rivals in the comparison section of our 2017 Nissan Pulsar Hatchback review. The new SEAT Toledo Hatchback is a large family car that’s mildly handsome if a little boring to look at. It’s spacious, has a massive boot, and boasts a good selection of engines. Looking every inch like the archetypal Mister Reliable, the SEAT is hardly likely to let you down – and hardly likely to excite you. On the road, it’s middle of the road – safe, predictable and sensible. Not a bad thing, of course, and it’s strong on the motorway and in the town. In terms of the engines, we like the 1.6-litre TDI EcoMotive diesel and the 1.0-litre TSI petrol. Both have a recorded 0-62 time of 10.0 seconds, and both come with a 6-speed manual transmission. A 1.4-litre 5-speed diesel engine is a slower alternative that takes 11.7 seconds to complete the 0-62 sprint. That’s still good for a car of this type. Moreover, all engines offer responsive steering. 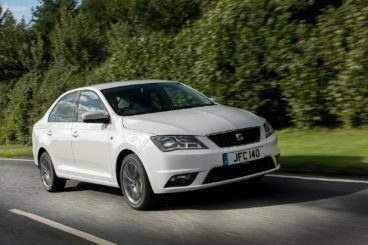 As long as you don’t expect it to be any fun, the SEAT Toledo Hatchback is a fair performer. It’s affordable to run, too. The 1.4-litre diesel engine is the most frugal, returning over 72mpg economy. Add the 7-speed DSG automatic stick, however, and that figure will tumble to 70.6mpg at best. Economy is still good if you pick the 1.0-litre TSI petrol. It returns 61.4mpg economy and is cheap to buy. The 1.6-litre TDI EcoMotive diesel, meanwhile, returns 67.3mpg. Inside, SEAT aimed to make the cabin as comfy as possible. They almost succeeded, but you will feel it when you hit large potholes. Most surfaces are nicely smoothed out, though, and the seats are supportive and comfortable. The cabin is a bit on the plain side, with SEAT not offering much in the way of design flair. That said, it’s all neatly arranged, and everything is easy to find and use. It’s practical, too. The boot measures 550-litres, which is considerably bigger than the Nissan and most rivals. Each model comes with split-folding rear seats, but a high lip and lengthy boot floor don’t exactly make it the most usable boot around. Overall interior space is good, though, with all four adults getting a decent amount of head and legroom. The Subaru Impreza Hatchback is a legendary car among a certain demographic who grew up with the original Gran Turismo. Back then, it was a car that dreams were made of. Fast-forward to 2017, and the Impreza is a vastly different proposition. The party is very much over. Not only does it look incredibly bland, it drives without any excitement whatsoever. It’s like a rock star who’s sobered up and found God. There is only one engine available, a 1.6-litre petrol that’s pretty gutless. It takes 12.3 seconds to complete the 0-62 “dash,” which – since it’s technically the range-topping engine – is mighty poor compared to rivals. It’s hard to drive it fast in any case, its light steering offering hardly any feedback. And while four-wheel-drive is standard, it actually works against the car, making it unresponsive and heavy. 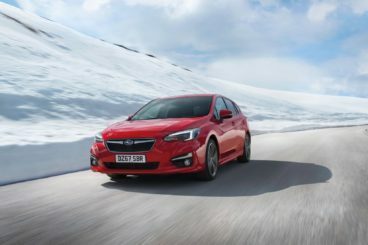 That’s a shame, too, because four-wheel-drive means the Impreza Hatchback could easily have dealt with a bit more power had Subaru been a bit more imaginative or daring. Worse still, there is no sixth gear. If ever a car needed it, it was this one. So far, so poor. 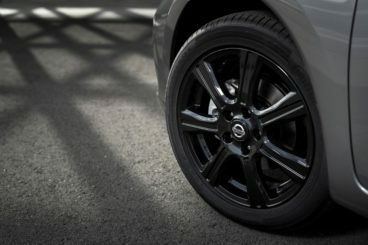 The Nissan is miles ahead. And without a diesel in its stables, fuel costs are going to be high. Indeed, the 1.6-litre petrol engine is a thirsty power plant. When combined with four-wheel-drive, it returns just 44.1mpg economy. Unsurprisingly, it’s not a particularly clean car, and emits as much as 147g/km of CO2. This yields a yearly tax bill of £145. Do things get better inside? Hardly. At first, the cabin impresses you with its smart, clean design. It looks logically arranged, too, with the controls and dials within good reach of the driver. However, once you get properly acquainted with the cabin, its flaws become evident. The plastics are scratchy, hard and cheap. The central screen is too small and doesn’t come with sat-nav. The stereo’s volume controls are badly positioned, while DAB radio isn’t standard. We’d like to end on a positive note, and truth be told it’s a fairly usable car. The 380-litre boot is a good size, and competitive for this class. Four adults can sit in relative comfort, and there is a good amount of interior storage space. Moreover, the light doors open nice and wide, and visibility is good. So, not a total disaster – but the Pulsar is a much better all-rounder. The practical new Pulsar is ideal for families who need a sensible Hatchback to get them from A to B without any hassle. It’s spacious, refined and comfortable. And while its looks are unexciting, the new Nissan Pulsar Hatchback is still fairly handsome and will appeal to anyone who is looking for usability and economy over performance.